Director and Producer Mari Frankel, is also a Guardian ad Litem (GAL), a volunteer trained by the state who speaks on behalf of vulnerable youth in the courts. There is unacceptable and then there is horrendous. What has happened to these children goes way past unacceptable. It is horrendous. The Florida Department of Children and Families has long been questioned by newspapers, lawmakers and families for the abuse, neglect and death of children in its care. Now one child advocate is asking to what extent do these tragedies fall on a privatized system. Florida became the first state to fully privatize child welfare, when Jeb Bush was governor, giving state funds to private companies, who subcontract with even more private companies. DCF has an annual budget of $3 billion, yet as many child advocates attest, most foster children live below the poverty line. 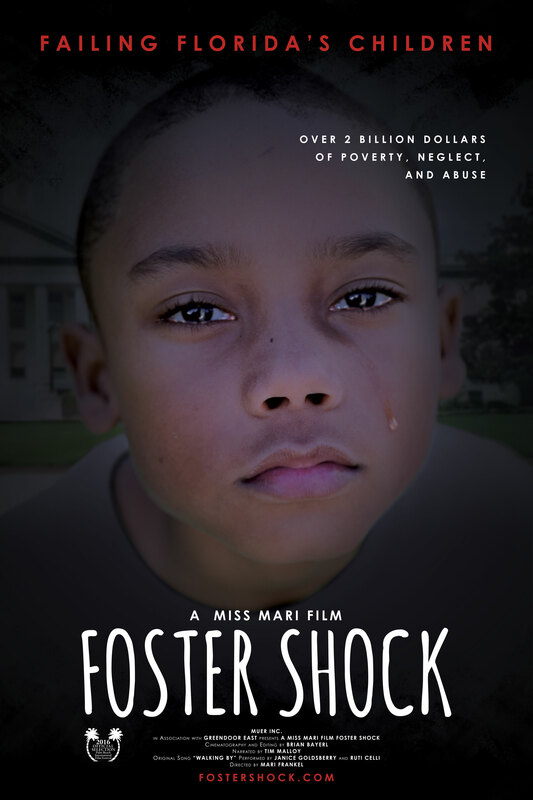 In her documentary, “Foster Shock,” Mari Frankel, a Guardian ad Litem (GAL) and board member of Adopt-A-Family, discloses the six-figure salaries of the CEOs of these private companies and gives a platform to executive directors of non-profit organizations, who say when child welfare becomes a business, children become dollar bills. The film, set to screen in Orlando Sept. 2, also tells the stories of children who grew up in foster care, looking forward to the day when they “aged out” of foster care, children who were dependent on the system, but say they were not protected by the system. Frankel did report the abuse and the boy was removed from the home, but the very next week, another boy was placed in the same home. Too often, Frankel says, she has seen that nothing a foster child says is believed, so the narratives she shares in her film, she verifies with case files and court documents. Foster Shock will be screened at the Central Florida Film Festival on Sept. 2. Five days later, DCF will hold its annual summit in Orlando. When asked if DCF would like to comment on the documentary or the issues it raises surrounding privatization, DCF Communications Director Jessica Sims shared a link to the department’s website, saying the system is privatized, but did not comment further than that. Frankel says the intent of the documentary is not to cast blame, but to catalyze change. Too often stories of foster children are so hard to bare, many turn away, but Frankel hopes by making this film, legislators and citizens will fight for more oversight, so foster children stop being abused. Foster Shock will screen during the Central Florida Film Festival (CENFLO). The showing is on Sept. 2 at 1:30 p.m. at West Orange Cinema, located at 1575 Maguire Rd., Ocoee, Fla. The film is one hour. Moviewatcher Passes are tickets available through the film festival beginning at $25 per day. A Moviewatcher Pass includes admission to all festival screenings for the day purchased, a coupon to redeem one medium popcorn and one medium soft drink, and three ballots to case for your favorite short, documentary or feature film. 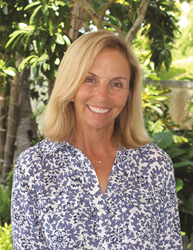 Mari Frankel has served as a community advocate for the State of Florida Guardian ad Litem Program for the last six years. For the last 15 years, she has been on the board of Adopt-A-Family, a non-profit that assists formerly homeless and income-challenged working families. Mari specifically assists with their after-school program, Project Grow, which serves children in grades K through five, to build their social, emotional and educational skills. Foster Shock is a Miss Mari Film. Brian Bayerl is the award-winning cinematographer and editor of Foster Shock. His work has been seen on PBS, Showtime and in numerous feature films, as well as premiering at the Sundance Film Festival and SXSW in Austin. Bayerl’s films have been screened at prestigious locations such as the Andy Warhol Museum, the Whitney Museum and the British Museum in London. Portrait of America was screened in three countries and won Best Film at London’s Raindance Film Festival. The Official Movie Poster for Foster ShockThe Official Movie Poster for Foster Shock. The subject of the poster is a sad foster child with tears. A government building is faded in the background. 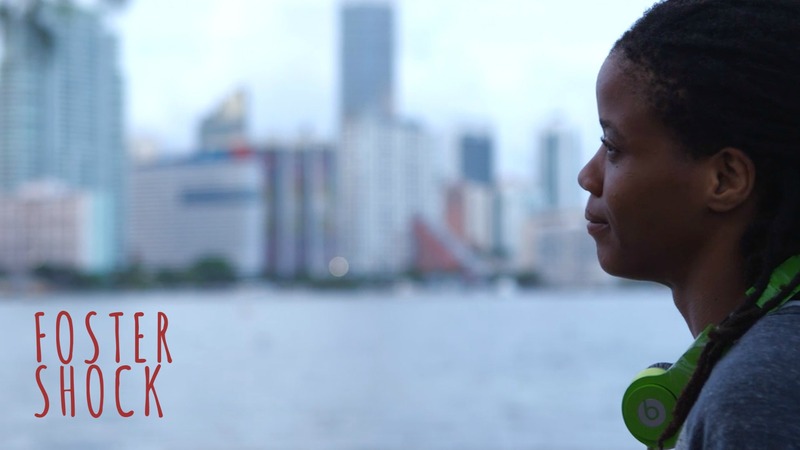 Angel Smith was born and raised in the Miami foster care system. She has been in over fifty homes during her lifetime.Angel Smith w/ her headphones around her neck, is here deep in thought, as she remembers the challenges during her time in foster care. City skyline and waterway is in the background.